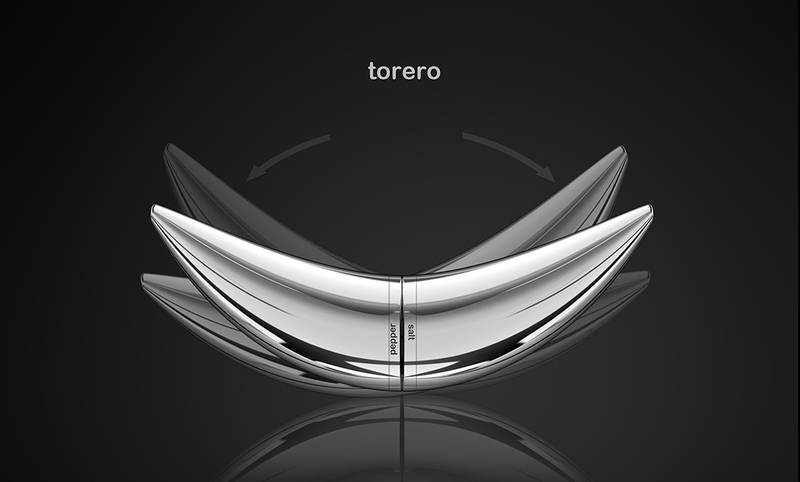 A tribute to bullfighting culture, Torero by designerArthur Xin is a sculptural vessel for holding salt, pepper, and cayenne pepper. The shakers’ shape is an artistic representation of bull horns and the mantle the red cape used by the fighter. Magnetic bottom sections keep the two parts together while the red cayenne holder keeps the chrome pieces upright and elegantly displayed in your kitchen or dining room.